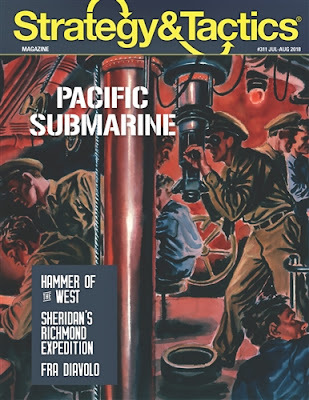 Pacific Subs: During World War II, submarines made up less than two percent of the US Navy’s arsenal. Despite their small numbers, American subs sank over 30 percent of Japan’s navy and crippled their merchant fleet. Hammer of the West - Halting the Muslim assault on Europe: In the decades that followed the death of Mohammed, Muslim armies began their conquest out of Arabia. Among their targets were the rich, but fragmented states in Europe. Sheridan’s Richmond Expedition - Hunting J.E.B. Stuart’s Cavalry: Under the command of Maj. Gen. Philip Sheridan, Union cavalrymen entered the Overland Campaign with a renewed optimism. The hunt was on to defeat J.E.B. Stuart and his wily cavalrymen. Fra Diavolo - The Anti-French Insurgency in Southern Italy, 1799-1806: The story of Michele Pezza and his campaign against the French occupation of southern Italy during the Napoleonic Wars.